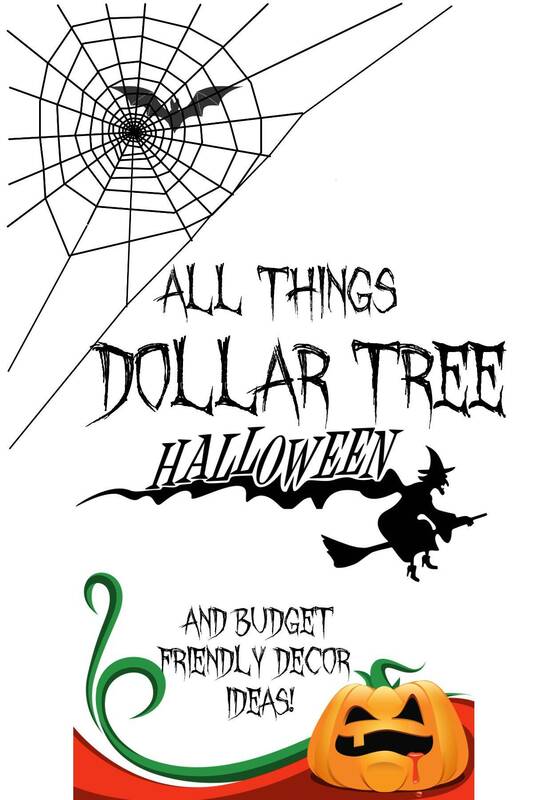 I hit up the Dollar tree today and it was like striking it rich in Vegas for me! Today’s craft, I am sharing rustic wood pumpkins. 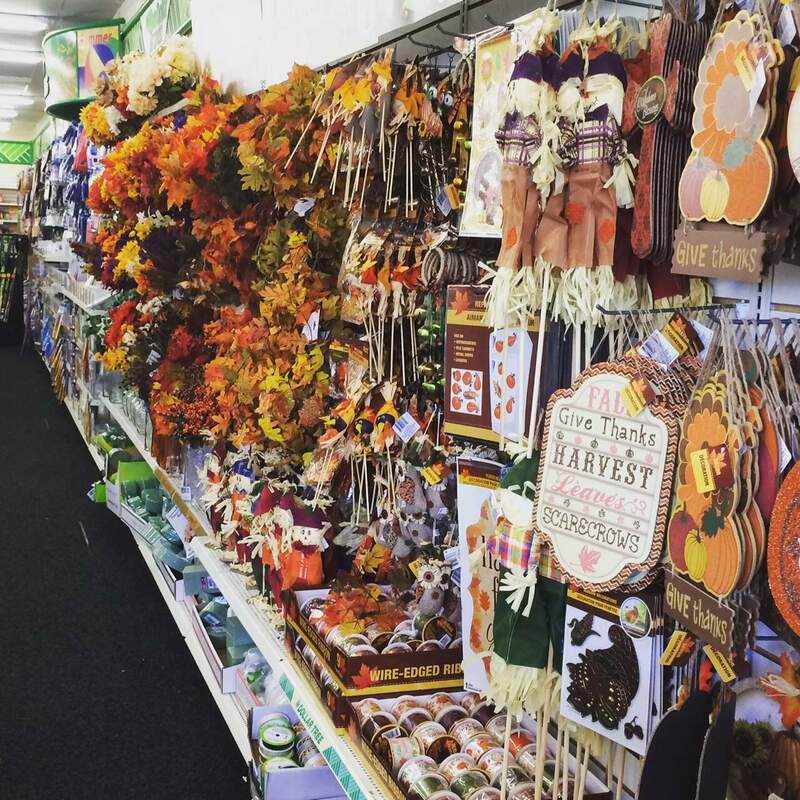 I told ya in my Dollar tree Fall post they start early and you best get over there before their stock runs low and they are onto Christmas. In fact, I wrote this post a few weeks ago and forgot to publish. They may even be onto Christmas decor already. 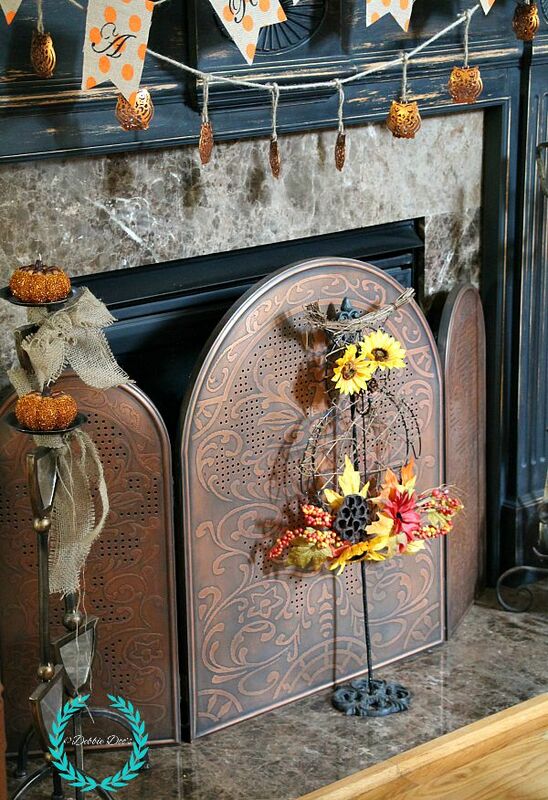 Lots of new fun Fall decor out this year. 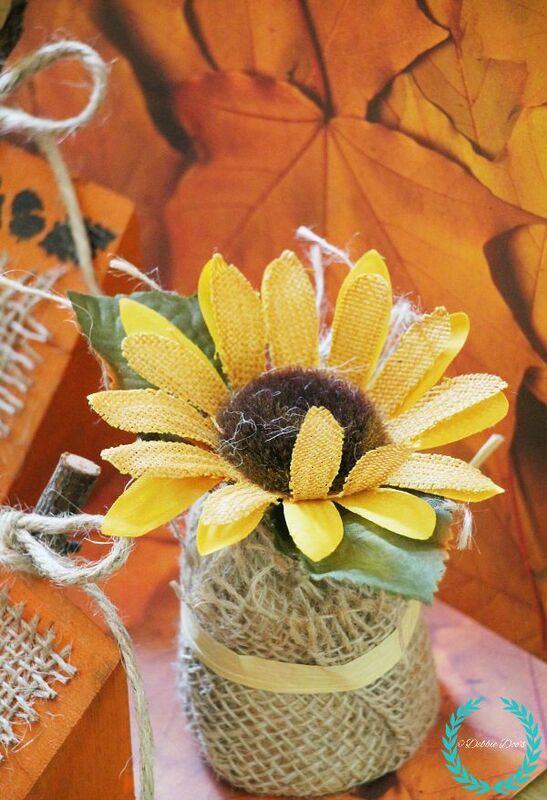 I loved these little burlap wrapped sunflowers. 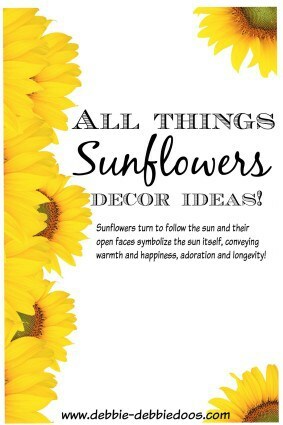 This was last years mantel and I was really into all things sunflowers. It was cute but I like to change it from year to year. That is why the Dollar tree is my friend. 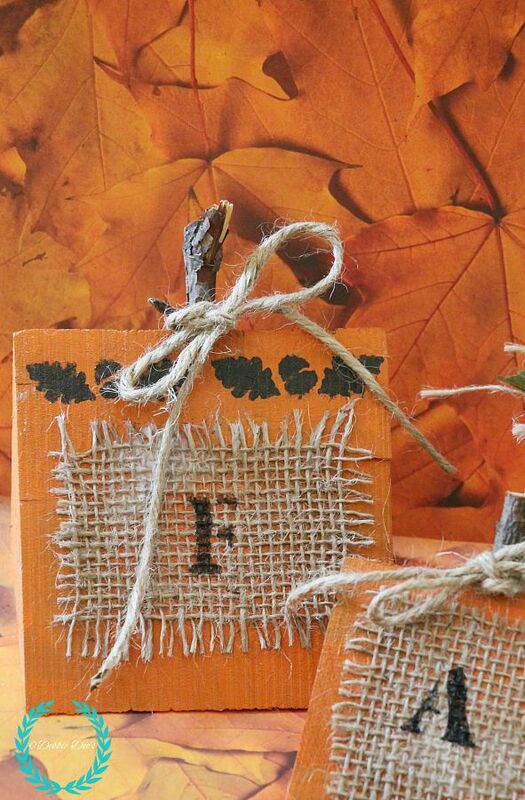 Two years ago I also made these cute little burlap fall mason jars. 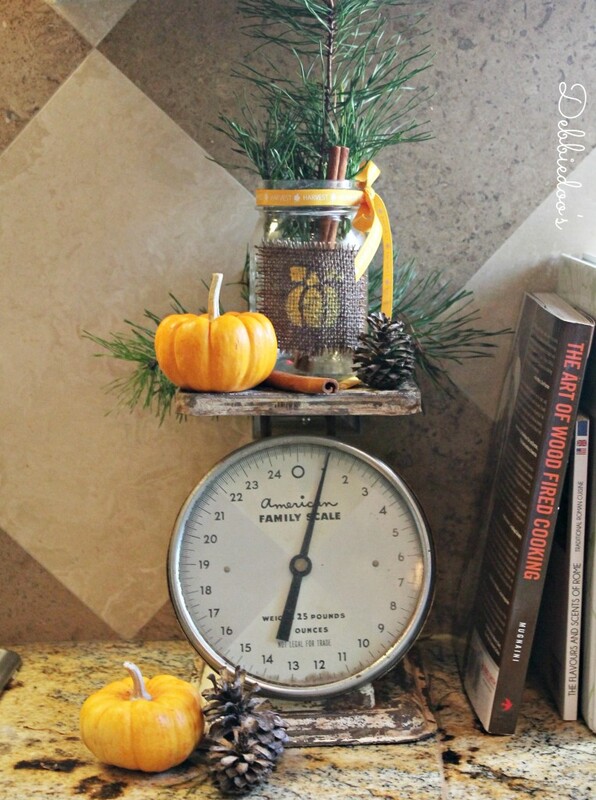 This sorta gave me the idea for today Rustic pumpkins. I just so happened to have these wood pieces that my FIL brought for us to use on the BBQ. They are actually apple wood and smell nice too. But it goes to show, just thinking outside the box, you can always make something out of nothing, or I should say not your typical crafting supplies. I am sure you can find wooden blocks somewhere. I would much rather craft with them then use them for cooking. But shhhh..don’t tell my husband that. He probably won’t even notice. These are the supplies I used. sponge brush, and small artist brush for stenciling. 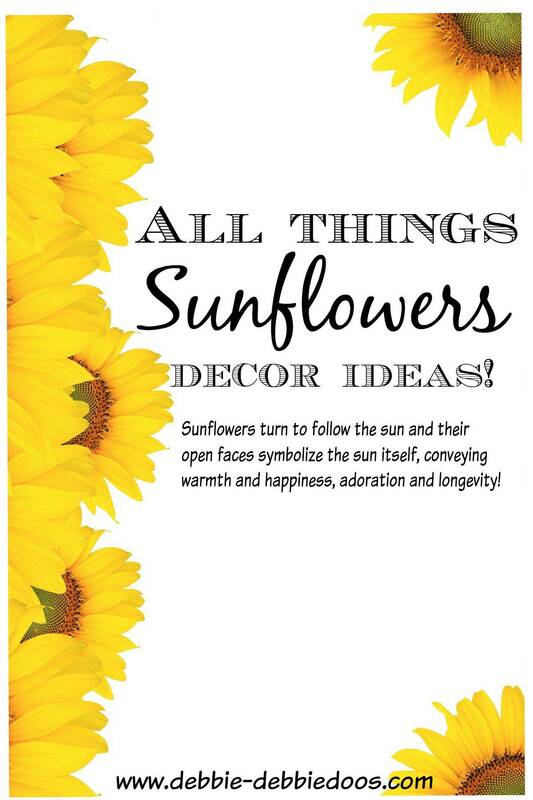 I find a lot of my stencils at Walmart in their craft department. Same for the craft paint. They have a great craft section now. Saves me a trip sometimes to Michaels where I get lost in for hours. Walmart, I want in, and OUT! 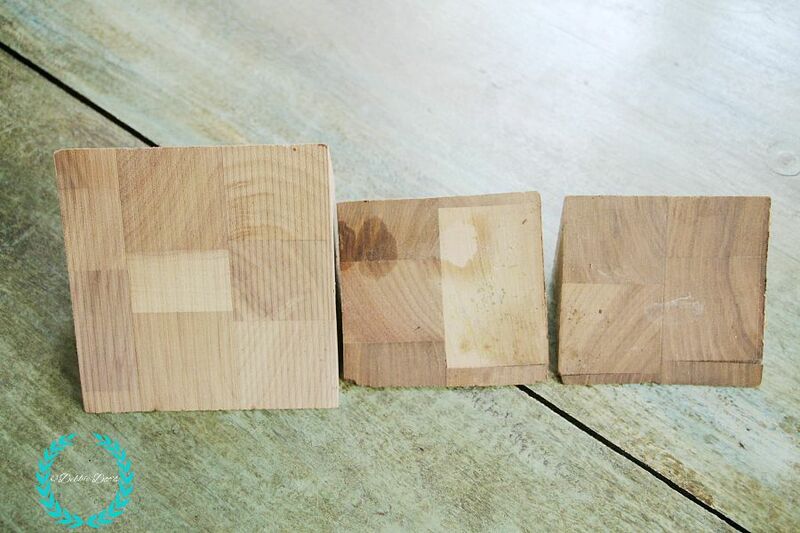 First I painted my little wood blocks, let those dry. Cut my burlap into a square that would fit nicely on the block. 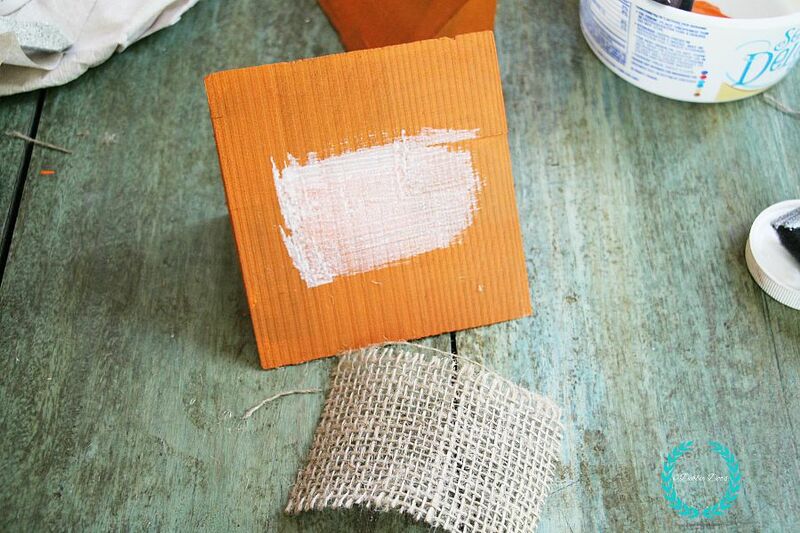 I painted on some mod podge with a sponge brush onto the block and adhered my burlap and then painted over the burlap. 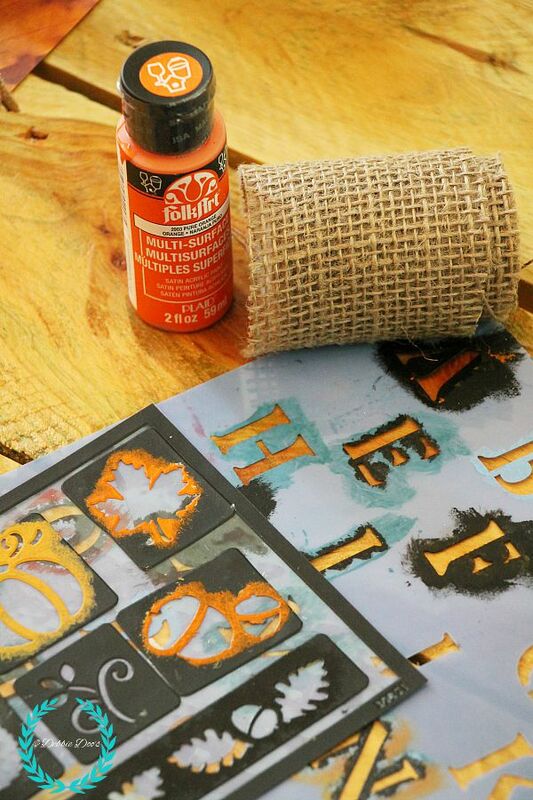 Let that dry completely before the next step of stenciling. I confess, I did not wait for the mod podge to dry. It is still drying, however, I did not mess up my stenciling job. I have little patience in case you didn’t know that about me. I want everything done YESTERDAY! I think these are going to make a cute addition on our entry side table. We shall see where they land! It’s all about the pumpkin, owls and more here. Not sure if I am going to do much Halloween decorating this year. Now that Jack is the only one home, and in High School now, I don’t think it really matters to him much anymore. Although, I do enjoy it, so we shall see. If you are not a regular here, I sure would love to see you back again. 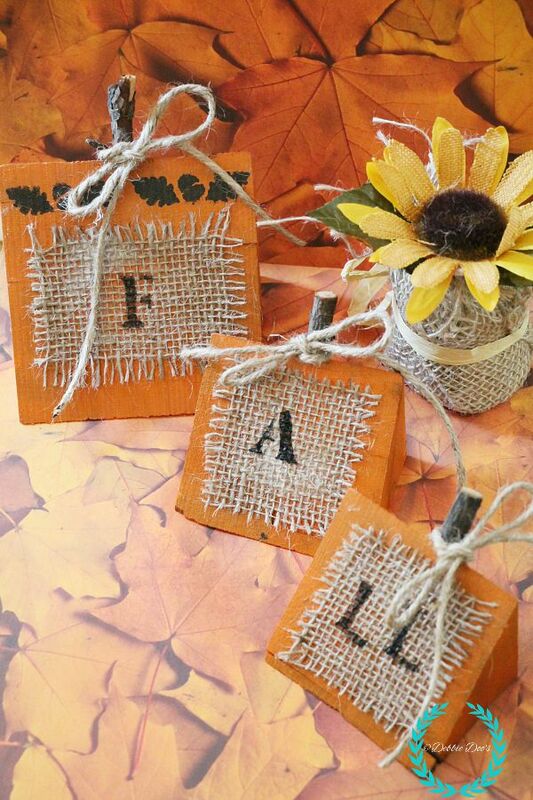 I am a fall fanatic! I have also put a gallery together of all my projects in one easy place. Just click on the category and enjoy! 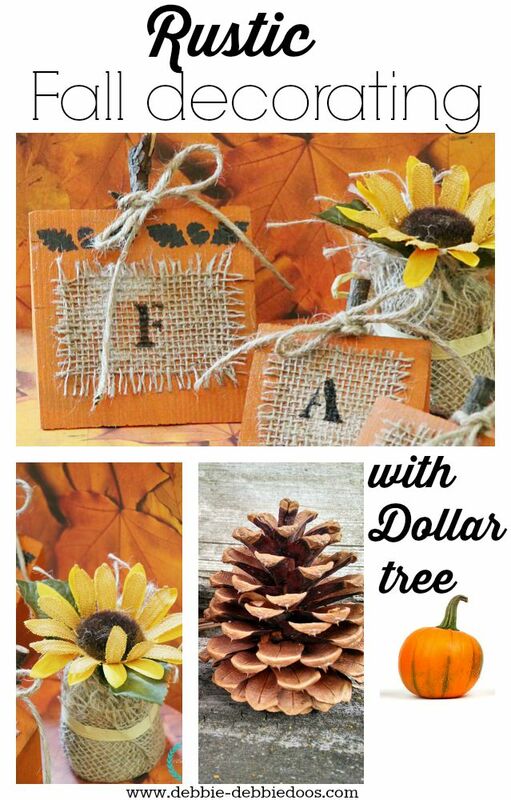 these little wooden pumpkins are SO CUTE……I just love how you can make something so cute outa ‘whatever is lying around the house’. 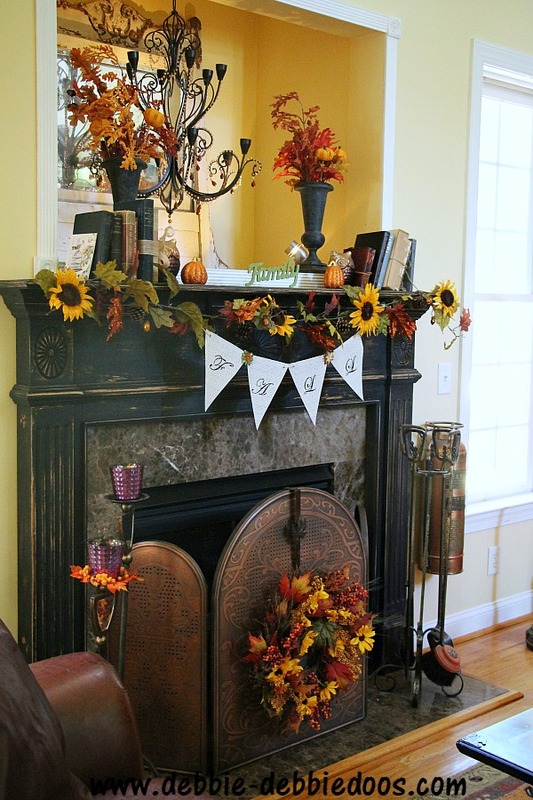 Little special touches scattered throughout your home make it so cozy and filled with love. 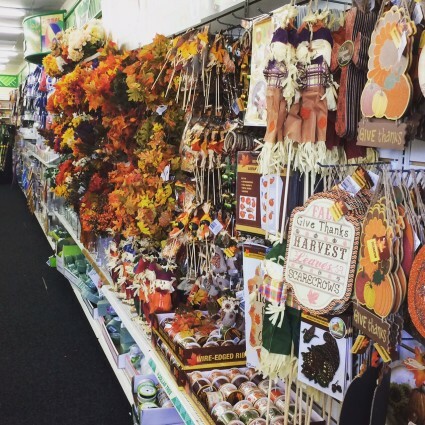 Can’t beat the Dollar tree Mom. 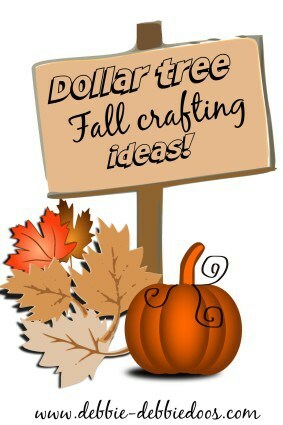 Get ready to get your winter craft on. I am totally with you about Walmart,,,in and OUT quickly! but now you have given me a reason to go there, i’m going to check out their craft department. very cute pumpkins. I love the rustic feeling to them. Thank you, I can’t wait to see your next posting. Heading back over there today. I need another HUUUUUGE roll LOL. Dollar stores are great, eh? I have a Real Deals dollar store near me and they have some cool random stuff I dont find at Dollar Trees. I love it. Those pumpkins are so cute! I also love your owl garland! Never heard of Real Deals. Sounds great though.